Labor Archives « Breastfeed.Babywear.ClothDiaper.Naturally! Breastfeed.Babywear.ClothDiaper.Naturally! Top 4 All Time Favorite Pregnancy Books! 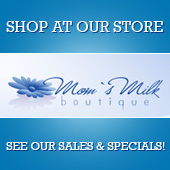 There are countless pregnancy, childbirth, and parenting books available. I remember going to the bookstore shortly after finding out I was pregnant with my first child. I stood there browsing the section of pregnancy books. Despite the large selection I didn’t really find one that grabbed me. Granted I didn’t exactly know what I was looking for; ideally I wanted to find a book that would help guide me through the entire novel experience of pregnancy and childbirth. How that actually translated into a written book I had no clue. I just assumed all women needed such a guide so surely it existed? I left the store with a generic “Your Pregnancy Week by Week” style book in hand. It showed pictures of baby’s development and listed corresponding symptoms I would likely experience. All in all it was a rather drab and clinical perspective on pregnancy. Furthermore it did absolutely nothing to prepare me for childbirth or mothering. It was not at all the magical guide I was hoping for. Fast forward six and half years later: I have now read many, many books on the topic and decided to come up with a list of Top 4 All Time Favorite Pregnancy Books to share with you. That way you can bypass all the monotonous, uninspiring pregnancy books and go straight to the good stuff! women who have given birth. Valuable information is missed if we only perceive birth in our left brains. Birthing From Within provides suggested activities that will actively engage your right brain. It is unlike any other childbirth preparation approach out there, but among one of the best in my opinion. 2. Mother Rising: The Blessingway Journey into Motherhood by Yana Cortlund, Barb Lucke, and Donna Miller Watelet - This book is plentiful with ideas on honoring the pregnant mother with a Blessingway Ceremony. Like Birthing From Within, Mother Rising acknowledges birth as a rite of passage; one that should be celebrated with ritual and tradition. Because Blessingway Ceremonies are not very common in our culture, many women are unsure how to create such a ceremony. This book gives very detailed and specific information on planning a blessingway ceremony, even down to suggested scripts. One thing I liked about the book is I felt it could also appeal to someone who prefers more of a modern day”baby shower” but wants to include some elements of a blessingway. Reading through the book made me feel deeply connected to women near and far, past and present. It impressed upon me the importance of celebrating and honoring the pregnant journey in a very special way. 3. 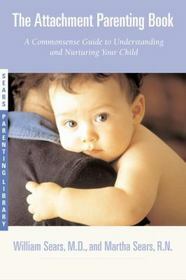 The Attachment Parenting Book by William and Martha Sears - I felt this book was a fantastic read for my husband. 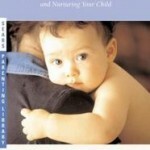 It provides a very direct, easy to understand and apply, description of the main tenets of attachment parenting. Additionally it is a relatively quick read. The information is so accessible and therefore easy to remember. I highly recommend it as both an introductory and summary of the Attachment Parenting philosophy, especially for those that want straightforward information. 4. 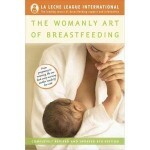 The Womanly Art of Breastfeeding by La Leche League International – For me this book is THE breastfeeding book. It is simply overflowing with evidence based information about breastfeeding. In fact it’s not a book I would pick up and read cover to cover. There is just too much information to process at one time. I tend to use it more as a guide or reference book when I have a questions for myself or from a friend. However I would recommend reading the first two parts; planning to breastfeed and the early months of breastfeeding at some point during pregnancy so you can approach breastfeeding armed with solid information. So there you have it….my 4 favorite pregnancy books. :) What books are among your favorites for pregnant women? Fan Photo Friday: Welcoming Baby! Okay if you don’t already have baby fever, I think you might after this Fan Photo Friday! First a BIG congrats to Mom’s Milk Boutique co-owner Bonnie who gave birth to her son, Montgomery, on July 31. Welcome to the world little one! How sweet is this baby girl? Does she not melt your heart with those big eyes, squishy lips, and full head of hair?! I love how alert she is only moments after her mama Brigitta gave birth to her! Sierra was born in the water at a birth center. Here’s Mama Melanie holding her first son Vincent. 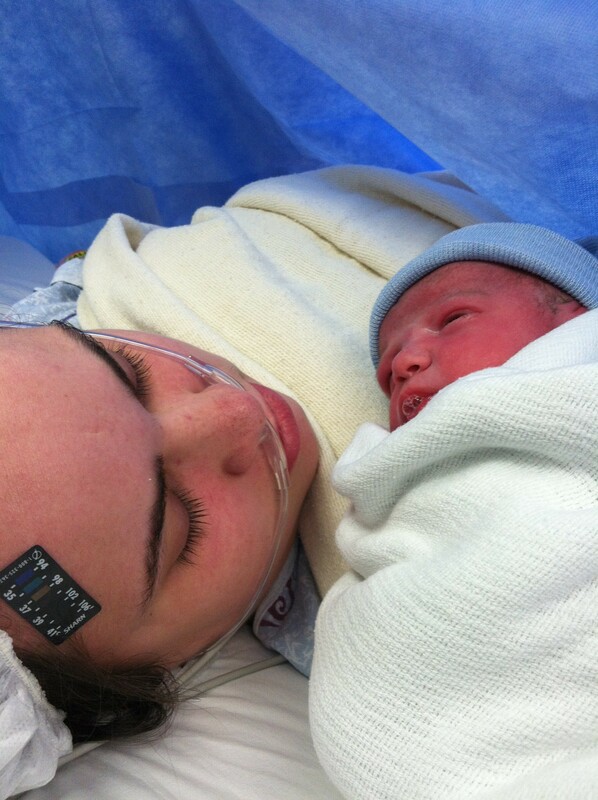 After 20.5 hours of labor he was born on June 6th, 2012 at 5:28pm weighing 6lbs 5oz and 19 inches long. Congrats Melanie…he’s gorgeous! 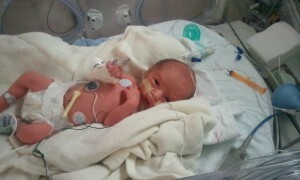 This is Xander right after he was born six weeks early on March 24, 2012 weighing 4 lbs 5 ozs. The second picture is of the first time his mama Amanda got to hold him, 2 days after he was born. Amanda’s hand in the picture gives you some perspective on Xander’s size. Another waterbirth! Meet Mama Heather and Baby Gianna born on June 28, 2012. This baby boy is blessed to have SIX older sisters to love and care for him! His family wanted a homebirth so the sisters could be involved in the birth. Here’s what Mama Bethany shared about this photo: “This is the very first time I was able to hold my son, it was over 24 hours after he was born. From this very first kangaroo care until 72 days later when he finally came home I would spend majority of my days in the NICU doing kangaroo care with him. 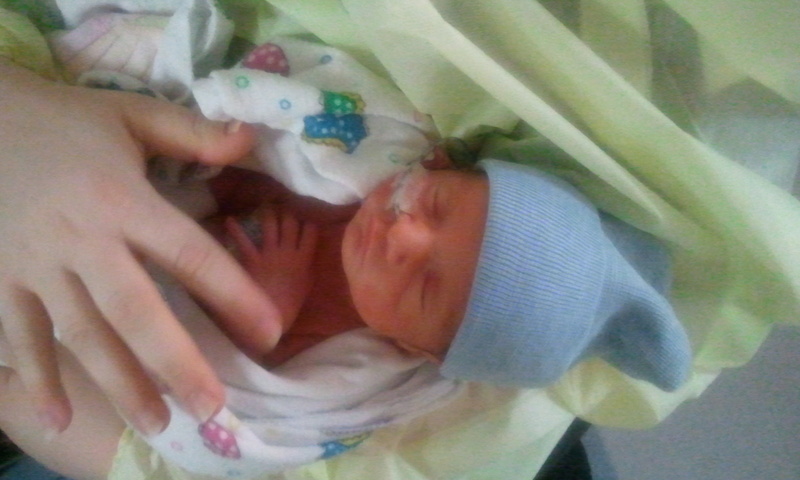 He was born at 26 weeks gestation weighing 2lbs 8 oz, and 14 1/4 inches long. He is now a healthy 6 month (3 months adjusted age) old weighing 13lbs!”. 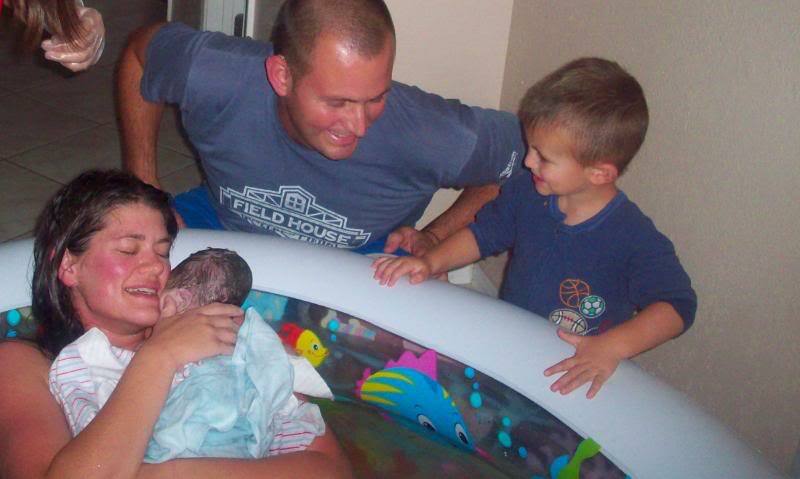 Thank you for sharing your birth story with us and this amazing photo. 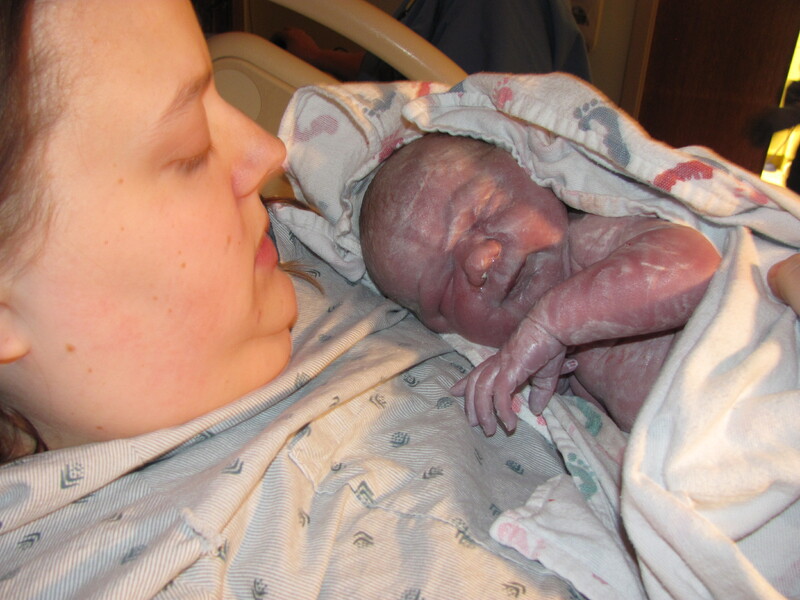 This beautiful mama is Brandy holding her sweet 8lb, 8oz baby for the first time. 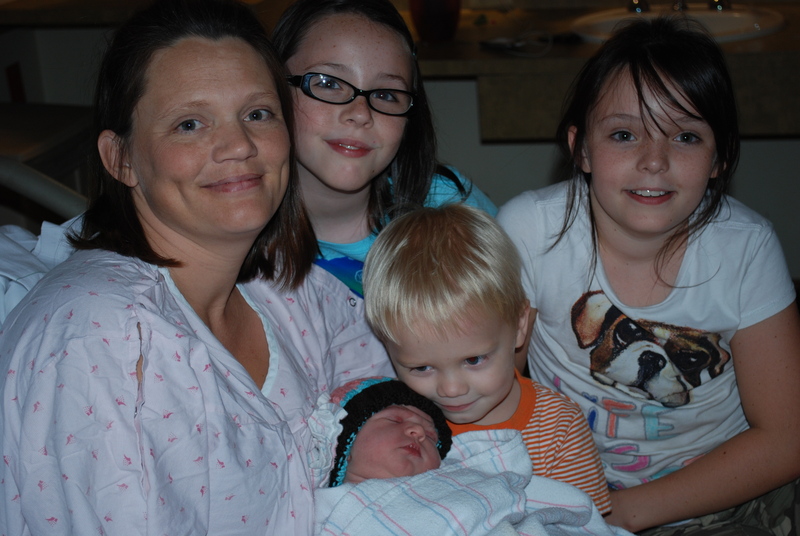 Meet Mama Kiersten welcoming her third baby, Annabelle into the world. 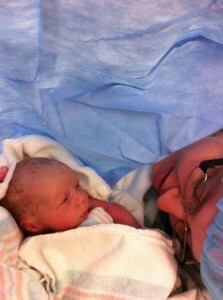 Annabelle was born into the water after 5 hours of labor weighing 7 lbs 3 oz and 19 inches long. I love the look of complete happiness on Kiersten’s face! 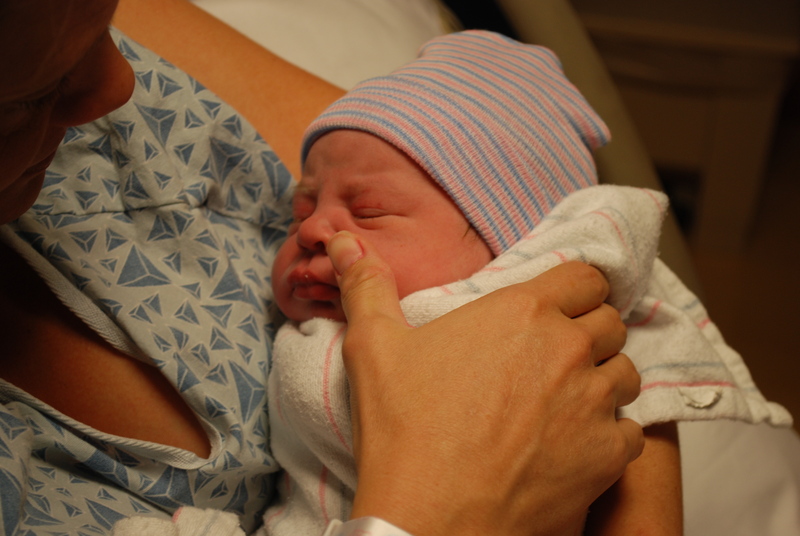 This adorable, squishy face is Mary’s daughter Clara Rose minutes after she was born. And then again with her older siblings when she was only a few hours old. That little cheek snuggle from big brother is just too cute! 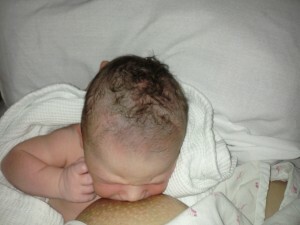 This wee nursling is Isaiah born on May 24, 2012 to Mama Jennifer. He is her SIXTH blessing! Would you look at those adorable curls? Don’t you just want to kiss the top of his little head and inhale that new baby scent?!? 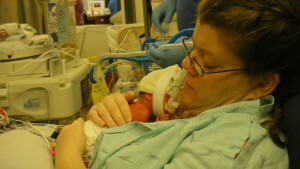 Here’s Mama April holding 9 pound Hudson for the first time ever on May 26, 2010. April says, “Hard to believe I now have a 2 year old, but luckily he still allows for snuggle time!”. Thank goodness for snuggly toddlers! Check out the ”after birth glow” on Mama Jennifer’s face while she bonds with her son Kase. I love, love, LOVE the following photo! Any guesses why? Because baby Lukas is covered in vernix! There are several benefits to delaying washing vernix off baby’s skin, although it’s rare to see a photo of a vernix covered baby snuggling with his mama. Way to go mama Erin! This is one of my favorite pictures of my second son’s birth…my birth “high” is pretty apparent in it. This last photo really touched my heart. It was sent in by Andrea although it’s not a picture of her or her baby. 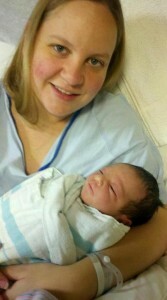 Rather it’s of a friend of hers…”This is (my friend) Gabbie with her new baby. I understand the instructions are to submit a picture of me with my baby but my friend is so much more deserving of the 25 milk miles and winning this contest. 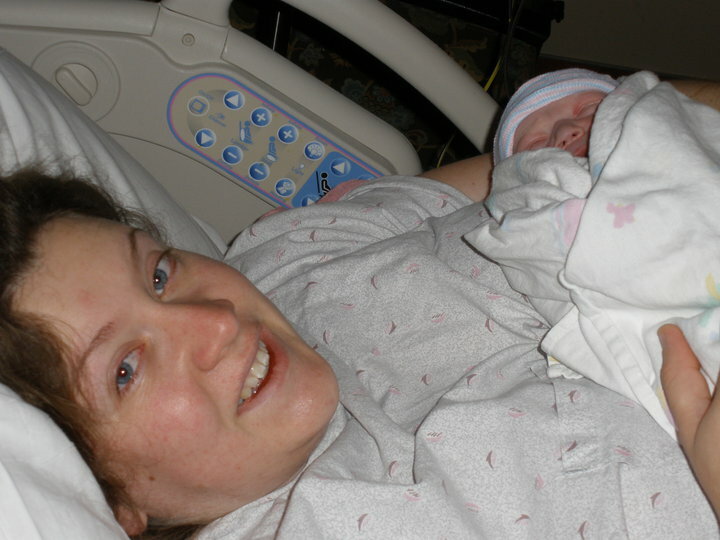 This last Sunday, July 29, 2012, she gave birth to twins; a boy named Aidan and a girl named Emily Rose. The little girl has a heart condition and was immediately taken away to the local Children’s Hospital and has already underwent her first heart surgery this last Monday. She has several more surgeries to go. Gabbie is experiencing a mixture of emotions as she is so happy to have her babies, after years of trying for them, and she loves them both so much. But she is devastated right now by her daughter’s condition and fears for Emily’s life. She didn’t even get to hold Emily before they took her away for her first surgery and Gabbie still hasn’t been able to see her since as Gabbie is still in the hospital herself, recovering from the c-section. I’m praying for the entire family and for Emily’s swift recovery with Gabbie and her husband, Brian, soon by Emily’s side so any additional prayers from anyone else would be much appreciated. Andrea, thank YOU for sharing this photo and story with us. We will certainly keep Gabbie’s family in our thoughts. And I think we all agree that Gabbie is this week’s winner! A growing number of pregnant women desire to have a drug-free, intervention-free birth. While there is ample information available regarding the benefits to both mother and baby of having a drug-free birth, information on how to optimally prepare for an unmedicated birth seems less accessible or tangible. Subsequently many pregnant woman are unsure how to prepare for the birth they desire and are left to “hope things work out”. Or they fall under the “trust birth” spell, that proclaims simply trusting the process of birth and your body are the magical answer to the mysteries of birth. While trust is an important part of the equation, there are additional ways a woman can actively prepare herself mentally, physically, emotionally, and spiritually for the birth she desires. 1. Develop a Positive Support System - Immerse yourself in the natural birth community to the greatest extent possible. 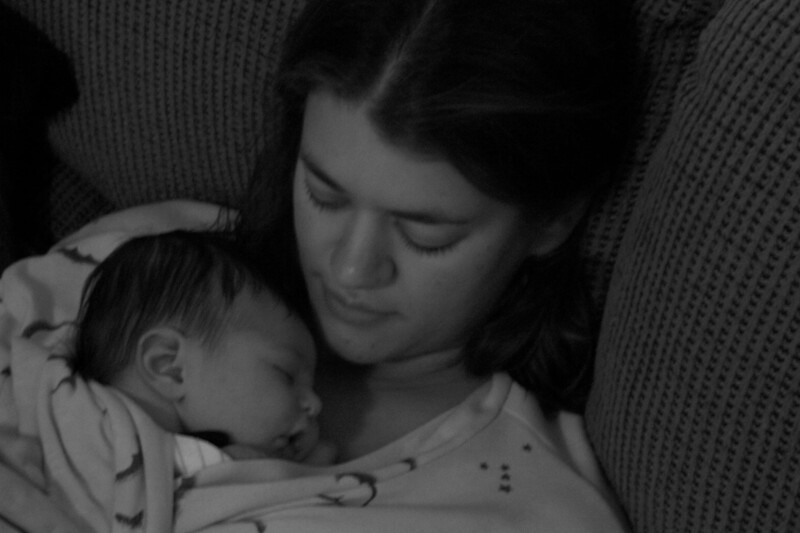 Talk with women who have given birth without drugs to hear their stories and experiences. These women can offer an abundance of wisdom regarding birth beyond what any textbook can provide you. Surround yourself with caring, compassionate individuals who support the birth you desire. Avoid circles/conversations that convey messages of doubt, negativity, anxiety, or trauma around birthing without the use of drugs. 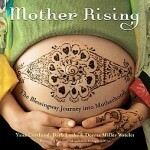 Fill your heart and mind with empowering birth stories that make you feel excited about your upcoming birth. 2. Select a Supportive Care Provider - The maternal health care partners that support you during pregnancy and birth have a big impact on your experience! Therefore I encourage you to be highly selective in the care provider you choose. Take time to interview several different care providers to find one you are comfortable with and will provide the type of care you desire (and deserve!). Also don’t be afraid to switch providers at any time during your pregnancy if you start to have doubts about your care provider. I have even heard remarkable stories of women switching care providers during labor because they did not like how they were being treated by their care provider. If you are unsure how to find a care provider start by asking for referrals from friends who have had positive birth experiences. Although keep in mind that each woman’s needs during pregnancy and birth are highly unique so what was a good fit for a close friend may not necessarily be a good fit for you. 3. Take Good Care of Yourself During Pregnancy – Eating well, exercising gently, staying well hydrated, getting proper rest, and minimizing stress during pregnancy all have a direct impact on childbirth. Something as simple as getting ample fluids can help prevent some potentially serious medical conditions during pregnancy. Know that pregnancy is a special time in your life that requires extra special care; remember YOU are the sole source of nurture/nutrition for a new life. Make caring for yourself a high priority because in doing so you are also caring for your baby. 4. Watch Videos of Drug Free Births – Sadly in our modern society most of exposure to birth is from TV shows or movies that don’t depict birth in an authentic way. Yet we cling to these depictions because we are hungry for information about birth. Even reality TV shows don’t accurately portray birth as they are carefully edited to ensure an element of drama and suspense. Instead hop on youtube and search for natural birth videos to see what birth really looks and sounds like. 5. Take a Childbirth Education Class - Attending a childbirth education class can be an invaluable tool to preparing for childbirth. In addition to better understanding the mechanics of labor, you will also learn various pain coping techniques. Research the various approaches available (ie- The Bradley Method, Hypnobabies, Birthing From Within, Lamaze, etc) and pick one that best suits you. 6. Practice Relaxation Techniques throughout your Pregnancy – There are many different effective relaxation techniques women can use to cope during labor, however you need to learn and practice them in advance. Make the time to practice frequently during the course of your pregnancy, particularly when you experience any discomforts associated with pregnancy. 7. 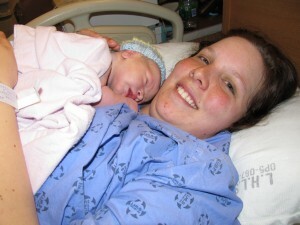 Hire a Doula – A doula is a non-medical labor, birth, and postpartum support person. A doula is educated and trained to provide a laboring mother physical and emotional support. There is a strong evidence base of positive birth outcomes when a doula is used. Check out DONA International for more information about doulas. 8. Avoid Artificial Induction – Statistics demonstrate that artificial inductions leads to higher rates of intervention including use of pain medication and cesarean. To the greatest extent possible allow labor to start spontaneously. If for some reason you do need to be induced consider starting with the least invasive methods. What tips do you have for a pregnant woman who desires an unmedicated birth? It was my decision. It was not a state of emergency. The midwife believed in trusting my instinct. If I felt the need to go to the hospital, then we should go. But was it instinct? Was it the delusional state of mind I was in from lack of sleep, a long labor, and feeling emotionally beaten? I needed to hear you CAN do this. You are STRONG. Why did I forget my birth affirmations in that moment? Buzz hurriedly grabbed the few things he could think of that we might need/want at the hospital. We had not even fathomed going to the hospital; having a hospital bag packed was not part of our birth plan. We got in the car and drove away from our home. With our house shrinking in the distance, so did my confidence. Upon arriving at the hospital paperwork was thrust upon me. I did my best to complete it while crawling around the lobby floor trying to manage the pain. A wheelchair arrived to take me to the delivery room. “I want to walk…walking helps” Sorry m’am. Hospital rules, you gotta sit. So I sat. Thus begins the loss of control. The delivery room nurses required me lay down in the bed on my back to they could administer an IV, pitocin, blood pressure monitor, antibiotics for the GBS, and a fetal monitoring device. I was bombarded with questions like an interrogation. However, I was in a poor state of mind to respond to most of these questions. I had lost all sense of time. My memory of the last few days was dulled by the more immediate need to give birth. Chained to the bed I was stripped of all pain management techniques that had been working for me at home. I couldn’t sway back and forth, I couldn’t rock on my hands and knees, I couldn’t have Buzz poor hot water over my back. In effort to gain some way to alleviate the pain, I kept lying to the nurse that I had to use the bathroom just so I could get up and move. I would hide in the bathroom as long as I could; squatting, moaning, and rocking. This trick did not last long because the head nurse came in and told me I needed to stay in the bed so they could continuously monitor the baby. At that point, I did not know what to do. I just laid there thrashing back and forth in the bed while choking back tears. I felt delusional. HELP ME PLEASE I wanted to scream. But I just laid there: scared, confused, and alone. Funny thing, I wasn’t alone. There were various people in and out of the room, asking me questions, hooking me up to things, manipulating my body. So why did I feel so alone? Buzz, who had been my support while laboring at home, was not with me. Yes he was physically with me, but not emotionally, not spiritually like he had been at home. Our rhythm, our connectedness, our confidence had been destroyed. He was just as terrified as me and looked upon me with helplessness in his eyes. He did not know his role in this strange environment and no one helped him define it. So he was pushed away to the side as a mere observer. Dysfunctional Labor I heard them say. Dysfunctional Labor they wrote in my medical chart. What does that mean? Why won’t they stop saying that? With every new person that walked into the room they repeated it…Dysfunctional Labor. It echoed in my mind, my heart, and my soul…my body is dysfunctional. At that point, my spirit was broken. I gave up all hope of the peaceful, natural birth I had desired. I agreed to the epidural. I cried as the words came out of my mouth. I felt like I was saying “I am failure…I am weak…I am powerless”. I felt defeated. I had labored over 40 hours without using medication for pain. I was dilated to 9 centimeters and had been for a couple hours by the time I got the epidural. Just one more little centimeter to go…and I couldn’t do it. Some call it dysfunctional labor. This went on for a total five and a half hours. Pushing and pushing with all my might. With every ounce of my being I pushed. I wanted nothing more than to see our baby, hear our baby cry, hold our baby, and nurse our baby. So I pushed and pushed. At first everyone kept saying “oh you’re so close” “a few more pushes and you’ll meet your baby”…but then a few hours went by. They stopped saying soon and started wondering “what’s wrong?” I felt like I had been running a marathon and could see the finish line ahead, but every time I got close to it, someone would move it a few steps beyond my reach. It was an endless marathon and I was chasing the finish line. Different doctors came in to assist me. People I had never met before. I looked up and counted 16 people in the room. One doctor came in with a vacuum extractor. I think he asked me my permission first, but I don’t recall. Had I actually been in a position to make a rationale decision, I would have declined this device. Thankfully the hospital had a 3 pop-off policy. If the extractor pops off three times they must discontinue using it. Two of the pop-offs occurred because the bed was jerked during pushing. I naively thought it was somehow part of the ejection technique; jerk the bed while I pushed and they sucked out the baby. But then the doctor starts shouting Who is moving the bed…stop moving the bed! A nurse replied It’s her, it’s her knees. They had told me to push my knees as far back as I could so I obliged which resulted in accidentally hitting the bed controls with my knees…oops! I could hear the baby’s heartbeat; a sweet, rhythmic, beautiful, and soothing sound. It was strong. I focused on it to give me strength. It helped me feel connected to our baby. But then the heartbeat started to dip, just a little, but enough to cause concern. They put an oxygen mask over my face. I felt suffocated by it. I could not hear with it on my face. I kept trying to push it away. I didn’t understand why they insisted on putting it on my face. It’s not for you…it’s for the baby my midwife explained. Deep breaths she encouraged…she breathed with me and counted in my ear to help me establish a rhythm. She held the oxygen to my face while I pushed, but took it off between pushes so I could hear the baby’s heartbeat. Hello Sarah, I am Dr. XXXX. You have been pushing for a long time now. I am willing to keep going for a short while longer and then we need to discuss other options. These were the kind, but firm words of the head obstetrician as he entered the room. I knew what he meant by “other options”. They were mentally preparing me for a surgical birth; a Csection. No one would actually say the word aloud to me, but there it lingered in the air as a possibility. My midwife whispered in my ear this is it Sarah…give it all you got…you can do this. I forgot about the 16 people in the room. I forgot about the last 51.5 hours. I will not have a Cesction…I WILL deliver vaginally. For the next half hour the only voice I heard was Dr. XXXX; it was as if he was narrating my birth. His words and his hands guided my baby on its final journey from my womb into the world. A final push and the baby emerged. Everyone cheered. They were cheering for us. It was a celebration. They see babies born everyday and yet genuinely cheered at the birth of our son. I needed that. I needed to be surrounded with the sounds of triumph. I stretched my arms forward to reach for our son. Dr. XXXX tried to pass me our son, but couldn’t. He cord was too short and I could not be reached. Buzz cut the cord and placed our son on my chest for a few seconds. Hi baby. I’m your mommy. You know me. You know my voice. I love you. It’s okay. You are here. We are here. You are okay. He was covered in meconium and the nurses wanted to check him. They took him from me all too quickly. Wait, bring him back…I need to hold him. He needs me to hold him. But I still had a placenta to birth and stitches to receive. Once again feeling powerless I laid there watching nurses handle our baby. Can we go home now? I asked as Dr. XXXX stitched my episiotomy. This was a genuine question. I wanted nothing more than to spend our babymoon as we intended…in the privacy and comfort of our own home. They laughed at me. You just birthed a baby! they exclaimed. I know, but we planned on being at home I protested. Hospital policy…blah, blah, blah…monitor baby….blah, blah, blah…was their reply. I contemplated checking out Against Medical Advice, but after 52 hours of labor did not have any fight left in me. So we stayed at the hospital for the required 36 hours. At my six week post partum visit to see Dr. XXXX he routinely inquired about birth control. I politely declined stating that we hoped to conceive again soon. He did not know of our struggle with infertility or our desire to have a large family. It dawned on me that he actually knew very little about me beyond what can be found in my medical chart, yet had shared one of the most precious, intimate moments of our lives with us…welcoming our son into this world. His hands were the very first to touch Jeremiah, not daddy’s. Dr. XXXX then asked if we would consider a homebirth for future pregnancies. He asked as Jeremiah laid across my chest while he conducted a routine vaginal exam. Would I consider another homebirth? A year later I am still trying to answer that question for myself. If we should be so blessed to conceive again, I am convinced that birthing in the hospital will not allow me the birth experience I desire. I fear the spiral of medical interventions that may ensue in a hospital birth. I did not like spending the first hours, days after birth in the hospital. However I do not think I can relive the emotional vulnerability that I experienced in this birth. I could not sustain another attempted homebirth. PS. This birth story was written during the first year os my son’s life in 2007. I have since had two more sons who were born at home in the water. When a couple finds out they are expecting, it is often a time filled with excitement, joy, and a healthy dose of nervousness. Whether it’s your first baby or your fifth, a pregnancy begins a new journey for your family. Attachment Parenting International views pregnancy, birth, and early parenting choices as important bonding opportunities. Therefore they encourage families to prepare mentally, physically, and emotionally for pregnancy, birth, and parenting. The difficulty is that we often don’t know how to do that? Most expecting couples will spend a great deal of energy, time, and resources into decorating a nursery for new baby and collecting material things for baby. However they often give little attention to preparing the mental, physical, and emotional space baby will occupy in their lives. Here are some suggestions on ways to prepare for the arrival of a new baby that align well with the first principle of API. Take a Childbirth Education Class – A childbirth education class typically provides couples with information about body changes during pregnancy, baby’s development, stages of labor, pain management options, and early postpartum care including basic breastfeeding information. Some childbirth education classes will go beyond providing clinical information and also delve into the spiritual, emotional, and psychological aspects of pregnancy and childbirth. Philosophies that I think well support couples in a holistic approach to birth are Birthing From Within, The Bradley Method, and Hypnobabies. Exercise during pregnancy- Unless you have a medical condition that prevents you from exercising, gentle exercise can be very beneficial to you and baby during pregnancy. Walking is a simple, relaxing and easy way to exercise during pregnancy. It might help with any discomforts you are experiencing as well as help baby get into a optimal position. Squatting is very helpful in strengthening the pelvic floor muscles used during labor. Another great exercise option is to take a prenatal yoga class. If you are unable to find a class in your area that fits your schedule or budget, there are some good prenatal DVDs on the market. Netflix even carries a few or check your local library to see what selection they offer. A critical component to any exercise regimen is eating well, staying hydrated, and getting adequate sleep. This is especially important during pregnancy. While we tend to focus on the physical benefits of exercise, regular exercise can also help us feel balanced both emotionally and mentally. Arm yourself with Breastfeeding Information and Support - Establishing successful breastfeeding is challenging for many woman. Any preparations you can do during pregnancy will have a positive impact on your breastfeeding experience. Attending La Leche League meetings during pregnancy is one easy way to meet other breastfeeding moms and develop a network of support. If your local LLL meetings don’t work in your schedule consider taking a breastfeeding information class. If you are not sure where to locate a class they are sometimes provided by hospitals, doulas, breastfeeding counselors, lactation consultants or speciality boutiques that sell nursing accessories. Additionally take time during pregnancy to read breastfeeding literature such as The Womanly Art of Breastfeeding or visit the kellymom website. Make Informed Decisions - Throughout your pregnancy you will be offered many routine procedures during prenatal appointments. This will likely continue into birth as well as newborn care. Know that any medical procedure is optional and nothing can be done without your consent. This is known as informed consent. You have the right to ask questions, delay, or decline any medical procedures or interventions offered to you, even ones not presented as being optional. You are the authority on your body and no care provider can make any health care decisions for you. It is important you select maternal health care providers who will empower you throughout your pregnancy and during labor. Creating a birth plan can provide a helpful framework to address your preferences regarding health care procedures for both you and baby. There are many great ways to prepare yourself for pregnancy, birth, and parenting. These preparations are a foundational part of the attachment parenting journey, so be sure to give it the love, attention, and focus it deserves! What ways did you prepare mentally, physically, and emotionally for pregnancy, birth, and parenting? Be sure to check back next Friday when we examine API’s 2nd principle: Feed with Love and Respect.